The new technology will enable users to reduce washing time and makes it easy to use with voice commands. WAIT, A ROBOT WASHING MACHINE? To some, this might come off as an outrage but Samsung certainly wants to take AI beyond its conventional use in smartphones. Since the internet of things picked off well in past couple of years, we’ve surely wished for more home appliances controlled via voice commands and Wi-Fi. Recently displayed at the IFC 2017, Samsung presented yet another AI empowered home appliance that might become the next big thing. They revealed a high-tech automatic washing machine model WW8800M that uses artificial intelligence to accomplish its tasks. Trademarked as ‘QuickDrive’ technology, this washing machine uses AI to not only reduce washing time, but also improve wash quality and fabric care. Not a lot of people welcomed the idea of technology such as AI to be implemented in home appliances such as a Toaster. But Samsung surely has presented a great way how this next-age technology can actually be used to make our lives better. AI tech implementation comes-off more as a utility rather than a gimmick. It allows users to schedule their washing hours so they can focus on other tasks. Moreover, this machine also comes with a unique ‘Laundry Recipe’ selector that provides tips to make washing better and quicker, depending on the type of fabric being washed. BUT IS THIS ALL THAT AI CAN DO? AI powered Washing Machine sure sounds like a great concept that other appliance manufacturers can totally expand upon. However, experts are still not convinced on whether Samsung’s new washing machine is revolutionary enough to spark a big change in the industry standards. AI implementation in household gadgets and appliances is already picking up and we’re sure that future products with AI technology will provide consumers with far more ease and convenience . Debuts a new AI based processor that can outmatch upcoming iPhone 8’s A11 processor. FASTER THAN A11, YOU KIDDING? A couple weeks ago, we already saw the Chinese smartphone manufacturer Huawei take the number 3 spot in global sales after Samsung and Apple. While their sales were dangerously close to Apple’s, experts didn’t think much about it since iPhone 8 is already queued for launch this month. However, Huawei surely wants people and rivals to take it as a real threat and have revealed a technology that might actually ruin Apple’s 10th anniversary plans. At the recently held IFA 2017 in Berlin, the biggest Smartphone manufacturer in China put their latest chipset ‘Kirin 970’ that uses cloud based AI making it almost 20x faster than anything ever seen yet. It might sound like rocket science to several users, but this new chipset actually allows several tasks to operate in real-time such as facial recognition and voice commands etc. Hence it would be considered smart if Huawei actually develop an app that can display the possibilities of this new implementation. Just like when Huawei expressed their plans on becoming the number one smartphone brand across the globe, its closest rival Apple hasn’t really acknowledged this threat. Despite this new technology, the Chinese manufacturers too have to work much harder if they want to come up as a global force and not just an in-home hero. 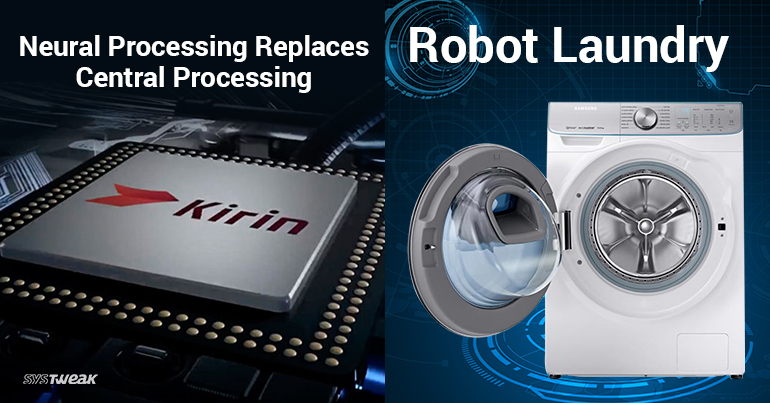 Although their new processor functions quite similar to Apple’s A11 drivetrain, Kirin 970 has been deemed by several expert to be far more efficient. However, this still doesn’t guarantee whether they will prevail over the iPhone and we can only keep our fingers crossed.